You could say sorry, and do whatever they say as a result. You could stare them down, insist that you’re right, and see what happens. You could argue with them and try to show you’re right. You could discuss things, listen to what they have to say and put your best case forwards. You could ask them, “Why do you think that?” and listen before responding. And you could do a lot more. I’m not suggesting you could have 100% control over how you feel or what you would automatically say as a result of criticism. It can cut deep, you might not know what to do. But there are different options open to you. How you engage with your examiners can lead to very different ways of being in the viva. Significant original contribution is nice shorthand to capture the result of a PhD’s journey. Go deeper into the words to remind yourself just how awesome your research is. About six weeks ago I watched as a dozen children almost went to war in my living room. The reason? It was my daughter’s fifth birthday party, and she’d insisted on playing a lot of games, including Pass The Parcel. We decided it would be like Pass The Parcel from our childhoods, with a single prize in the centre, and no little prize with every layer. The kids were in uproar. We told them there was just one in the centre, but they were confused. Wh- Why?! Where were the little prizes? Then I want to win the one in the centre! They were desperate to hold on to the parcel in case this layer was the layer. They stopped having fun. We thought it would be alright, they would see the fun in taking part, taking a layer off getting closer to the prize, but they didn’t. Wanting the prize was too much for them. In the end, we fudged the final round so a particularly desperate child won. I was thinking about this game of Pass The Parcel the other day and was reminded of my PhD, and research more generally. Sometimes, you only get to tear the paper off; sometimes, you don’t get to the big answer, the thing you were looking for. You get closer, but not all the way to the prize. And that’s fine, you learn, you grow and you move everyone in your field forward. It can be hard though, doing a PhD, writing a thesis, preparing for the viva, to see it that way. It might be true, but will your examiners see it that way? Or will they focus solely on why you didn’t get to the end goal? Examiners appreciate that not every research journey ends at the point one might want. They’ll have the experience to recognise what you’ve done if you don’t reach the point you wanted. Your job, if this is your situation, is to be able to talk about how far you went. How close you came. What the different layers you tore off were. How you might have done it differently. And what other steps someone might need to take to reach the prize. Imagine your thesis is an iceberg. But there’s more than what’s on the surface. If an examiner or anyone else reads your thesis they see the surface iceberg. Your research and experience are underwater: a massive bulk of knowledge, skill, time, patience, talent, persistence. Quietly hidden, but there all the same. Your examiners can ask about what they see on the surface, make guesses perhaps at what else is in the watery shadows. You appreciate it all though; the surface iceberg-thesis and the experience-knowledge-skill-time-patience-talent-persistence-ice-mountain of research beneath the surface. It’s all there for you when you need it, hiding in the depths. A thought: you and your examiners are more similar than you are different. Similar: all researchers, all interested, all capable, all talented, all there in your viva for a good reason. Different: they have more experience than you, you have more expertise than them. They’ve read your thesis, you wrote your thesis. All of these points help the story of confidence you can tell yourself about the viva. Why didn’t Achilles wear a boot? If you know there’s a problem, wouldn’t you try to address it? If you know you have a weak spot, wouldn’t you at least try something? For example, I knew my background knowledge on one of my thesis chapters was a bit shaky. I just hoped my examiners would focus on the results instead. I could explain how I’d tackled it. I could explain the results. I just crossed my fingers they wouldn’t ask me to explain what a certain kind of manifold looked like and why it was relevant. Hoping it won’t come up is not a solution: actions help. If you have a gap in your knowledge, take action. If you have trouble remembering a reference or an idea, take action. If you want to boost your confidence, take action. Weak spots in your thesis or research probably aren’t as devastating as Achilles’ heel, but if you’re aware of something that could be a problem it’s up to you to do something about it. Don’t just worry and hope it won’t come up. Do something. There’s a lot of light cast around during the PhD process. You shine a light on a topic you found, and create more when you write your thesis. You brighten up your thesis when you prepare for the viva. Your examiners bring your work into full sun, although hopefully it won’t feel like a harsh glare. And fingers crossed you won’t have to burn the midnight oil to add a little more light with your corrections. Every step of the way you illuminate something because you’re making it easier for someone else to see the value of what you’ve found. In Jenga, whatever your intentions, you might knock the tower down at any moment. Your actions or a misplacement by the last player might make things so unstable that the tower can only fall. It’s tempting to think of the viva is a precarious situation, but your thesis is not a Jenga tower, and the viva is not a game. Questions from examiners aren’t like pulling bricks out. Your answers aren’t going to make your work fall apart. Discussion can bring in some wobbles, but your work is more than a tower of bricks. You designed this structure, it didn’t just come together out of a box. If I’m working from home then I love to walk my daughter to nursery to start my day. 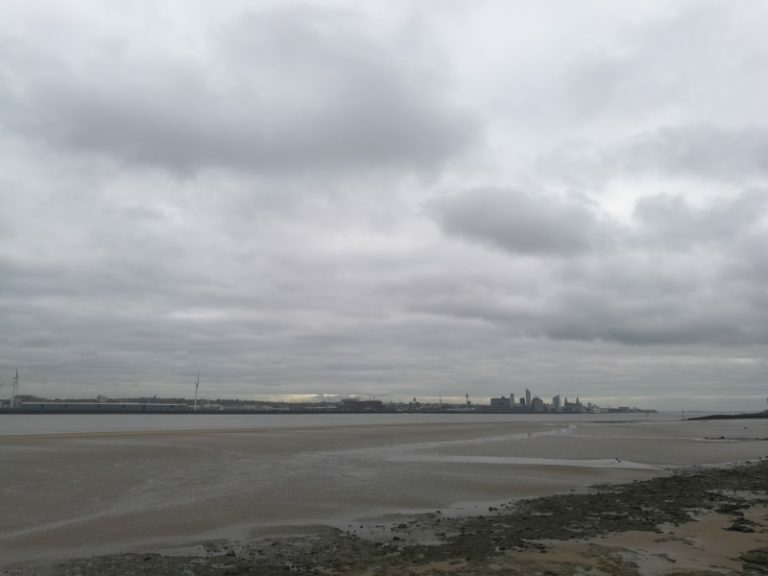 After I’ve dropped her off, I’ll often continue my walk near the River Mersey. 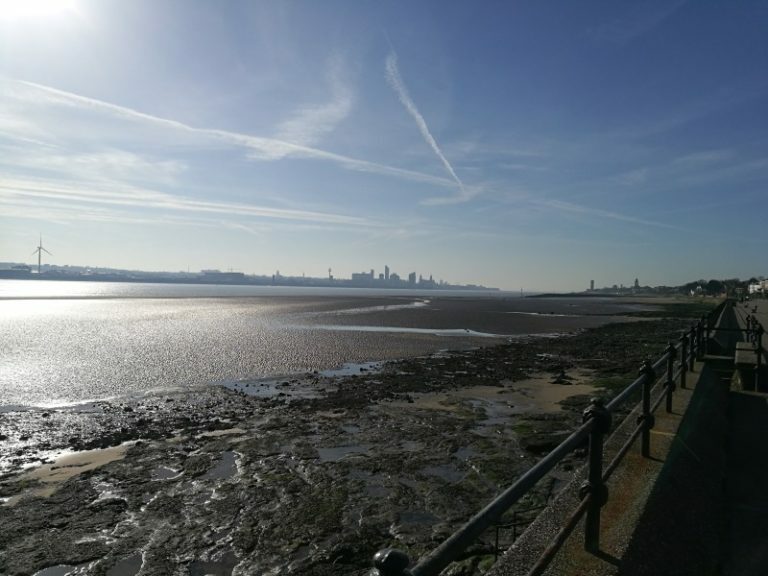 The view from the promenade looks towards Liverpool. I often take pictures of the city from the same spot on my walk. …and sometimes the sun shines just right and I capture something truly beautiful. Changing my focus just a little can make a big difference. 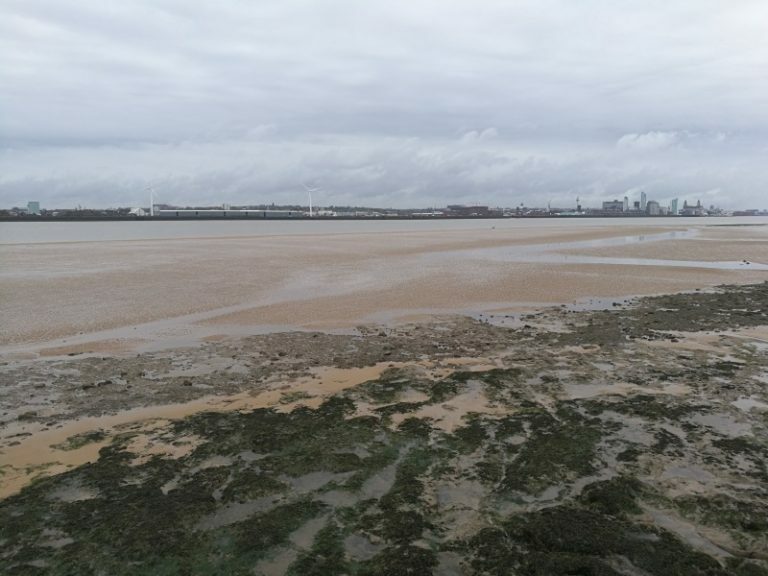 It’s the same city in the distance, but a little to the left, a sunny day or the tide being in can mean a radically different picture. When you’re preparing for the viva, take time to look at your thesis in new ways. Ask yourself questions you’ve not considered before. Make summaries to tease out certain kinds of information. Reflect on what you’ve done and look from a different perspective. You might see something interesting. You might get some new ideas. You might just see something beautiful.